According to trinitarians, especially Protestants, who is Wisdom in Proverbs? before he created anything else." Hold on a moment...I thought God the Son wasn't created, having coexisted with God the Father since before time? How is the identity of Wisdom established as being that of the Son and how is Proverbs 8:22 handled? If it makes a difference, I grew up Wesleyan, so I'd prefer Protestant doctrines although Catholic or Orthodox doctrines would be interesting too. The first view was widely held by the church fathers and several centuries of Protestants. However, in the 20th century the second view became more popular and now dominates Evangelical scholarship. The typical patristic understanding of this passage was that Wisdom refers to the Word of God: that is, the Son of God, Jesus. As you note, this raises some questions about the meaning of one key word in verse 22, translated "created," "formed," or "possessed," and this verse was a major battleground in the Arian controversy. Defenders of this view point to New Testament passages referring to Jesus in similar ways, such as John 1:1, Hebrews 1:3, 1 Peter 1:20 and Colossians 1:15–18. Lady Wisdom here is no more than a personification of the wisdom that the sage has received, a wisdom revealed by God and rooted in His very own character. The context simply does not justify interpretations that go beyond the personification of wisdom here. [...] It is therefore best to say that Lady Wisdom shares similarities with Christ, but Christ is even greater than she. In short, the sage's wisdom is a type of Christ. Although it is premature to see personified wisdom (especially in vv. 22–31) as a direct portrayal of a divine being, there is no doubt that the revelation of Jesus Christ as the wisdom of God shows us the significance of a wisdom that is its own absolute authority. Each person's understanding of this passage will be influenced by the relative weights placed on the testimony of the church fathers and modern hermeneutics. Early Protestants leaned toward the former, but the latter has gained primacy among Protestants over the last two centuries. Either way, however, Protestants have carefully argued that the text does not challenge the divinity of Christ. Geneva Study Bible, Wesley, Coke, Poole, Scofield. Also Catholic Haydock. Gill, Exposition of the Whole Bible. Cf. James Coffman; though not a defender of this view, he writes at length on how to properly translate this word. Kidner (Proverbs), Longman (Proverbs), and Waltke (Book of Proverbs 1-15), among others. ESV Study Bible, NIV Study Bible, and Keil & Delitzsch, for example. Note: Most on-line commentaries seem ascribe this verse to mean the Son of God and the Arian heresy tried to use it as a means for arguing that the Son was created and therefore not eternal. See these commentaries here. Anyway, when thinking of the Eternal Son as the wisdom of God we run into the idea that the Son was eternally begotten of the Father. That is, the Son from eternity is the express image and word of the father, proceeding from him. Absolutely considered we can’t say that He was ‘formed’ so it seems when the Bible refers to the Son in this way, it is also looking at this with the eternal counsels of God’s will, in the future plan of incarnating the Son and saving the world, before he ever created it. In this sense the Son is both the ‘power and wisdom of God’, before the creation of the world. we can interpret these eternal truths in an eternal fashion. Wisdom gives birth to great ideas and is justifiably considered a woman! Wisdom, like our mother, is our First Teacher. All these things could also be said of the Holy Spirit. The soul of the righteous is the seat of Wisdom. So... Mary, seat of wisdom, Holy Tabernacle of the Lord, model of the Church etc... Models our souls as the place where Wisdom resides. "Wisdom" in the context of these verses isn't anybody. It's wisdom, as you or I would understand the word, literally, but in this particular context, Solomon is Anthropomorphizing the character trait of wisdom. I've never once seen a commentary, or heard a message that gives any indication that "Wisdom" in these passages means anything else. That Solomon would Anthropomorphize wisdom isn't surprising. The Proverbs have a very poetic style, almost equaling that of the Psalms. And Solomon valued wisdom. When God offered to give Solomon anything he wanted, Solomon asked for wisdom. (1 Kings Chapter 3) It's quite common in literature to use anthropomorphism when describing non-living objects, or even concepts. In this particular proverb, Solomon is simply expressing the importance of, and value of wisdom using poetic language. Proverbs is normally classed as wisdom literature. It contains lots of literary devices, such as the one you pointed out, and -- even while many Christians traditionally understand every verse of the Bible to reference Christ in some way -- in some cases, the reference is more figurative rather than prophetic or revelatory. They make the case that the literary form of encomium is being used. An encomium is the praise of a character quality, offered so as to persuade others to imitate it. It is poetic and it is fiction. It uses personification. Another example of an encomium in the Bible is 1 Corinthians 13, about love. Thus this passage does not refer to Jesus at all, so cannot be used to argue (as the article says the Jehovah's Witnesses do) that Christ is a created being. Not the answer you're looking for? Browse other questions tagged exegesis protestantism christology proverbs wisdom or ask your own question. According to Catholicism, who is the Wisdom being described in Proverbs 8:22–36? How can Wisdom be Jesus if Wisdom was created? 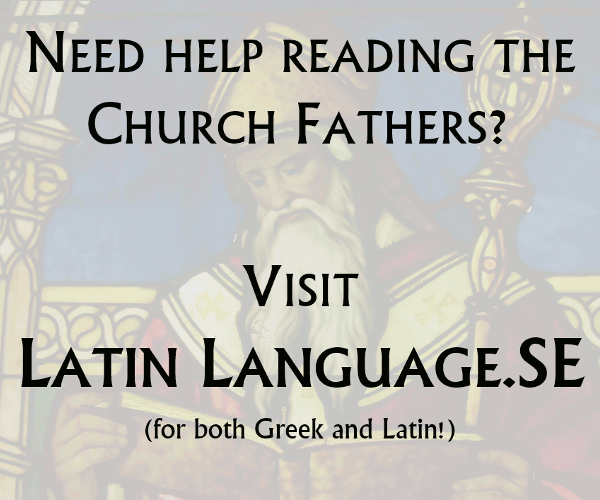 According to Protestant trinitarians, what is the significance of the father-son relationship between God and Christ? Do Proverbs and Ecclesiastes have polar opposite views of wisdom? According to Protestants, what is the biblical basis of Jesus being “one substance with the father”? According to orthodox Trinitarians, why did Jesus respond that only God is good?